Upon archiving an order it will appear from the regular Orders list found in Sales → Orders. To view and manage orders that have been archived navigate to Sales → Archived Orders. Here a list of orders that were archived can be viewed. This list can be interacted with in exactly the same way as the normal Orders list. Should an order be accidentally be archived or archived but later need to be unarchived it is possible to undo this action. 1) Identify any orders that should be unarchived. 2) Check the checkbox on the left side of the chosen orders. 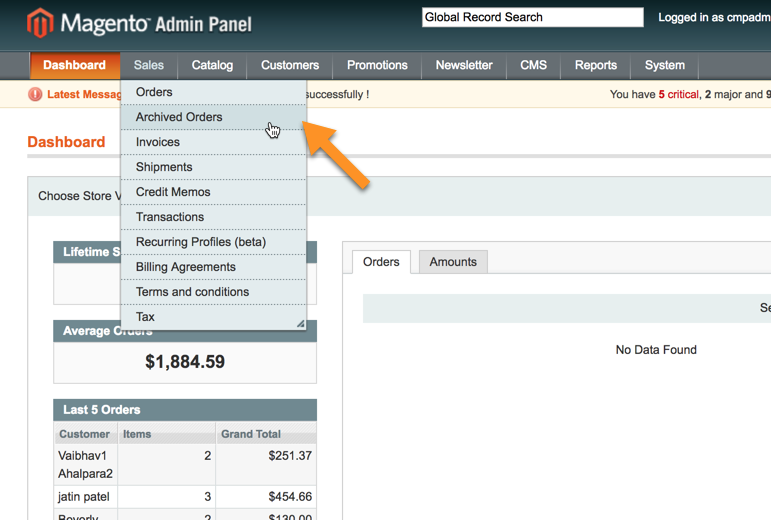 3) Open the Actions drop down menu on the top right of the Orders list and choose "Un-Archive Order(s)". 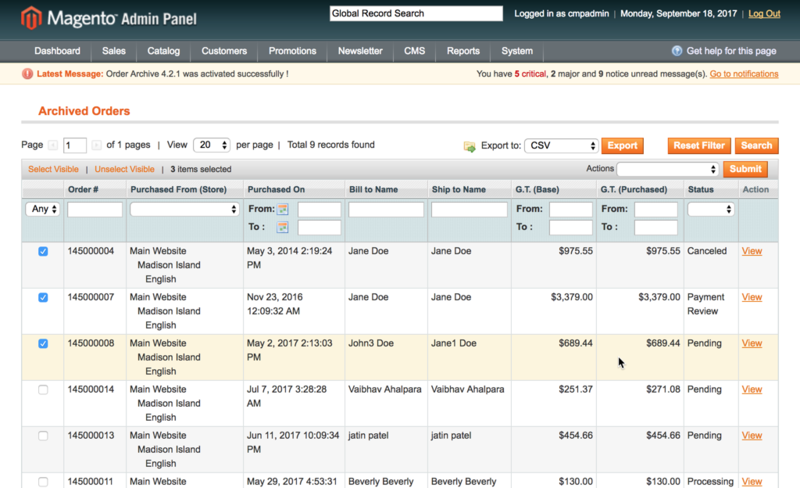 Get more information about the Order Archive Extension for Magento®.